Biodiesel is not dead. In fact, it is alive and well. The truth is... biodiesel is really hot right now and for good reason. The only difference is that in stead of burning B100 in your engine, most biodiesel is blended with regular diesel. Just take a look at the label on your pump at the gas station and it will tell you that you may be using a blend like B5 or B10. Somewhere around 2007, NOx restrictions kicked in and diesel engine manufacturers came up with diesel particulate filters. Everybody had to start using low sulfer diesel so the DPF filter doesn't get clogged. These new DPFs don't like B100 too much. Older engines are fine with B100, but some newer engines are not. How many times over the past 30 years have you seen an alternative energy device or product come along that is actually workable and affordable for the individual homeowner? Everyone has been talking about the future "hydrogen economy" lately. Do you really think that they are going to install a hydrogen refilling station on every corner? And then make everyone buy an expensive fuel cell powered car? And then buy a fuel cell to power your home? And how are they going to make all this cheap hydrogen? This is just one example of many "pie in the sky" plans that "they" think we will buy! The government and the oil industry must think we are a bunch of idiots! Biodiesel is real. Biodiesel is here to stay. It can be bought at many existing gas stations TODAY. And the existing gas stations can be used without building completely new facilities. It will run in most (older) diesel cars and generators without modification. You can make biodiesel yourself if you want to either by growing your own oil seed crops or using free used fry oil from your local restaurant. To show you how REAL biodiesel is, just look at the European Union which has issued regulations requiring all petroleum fuels to include a 2 percent blend of biodiesel or other biofuel by 2005, rising to 20 percent by 2020. Now that's a lot of biodiesel! In a past newsletters, I told you about Jatropha for biodiesel. But... did you know that the African Oil Palm (Elaeis Guineensis) will produce about twice as much oil as Jatropha? 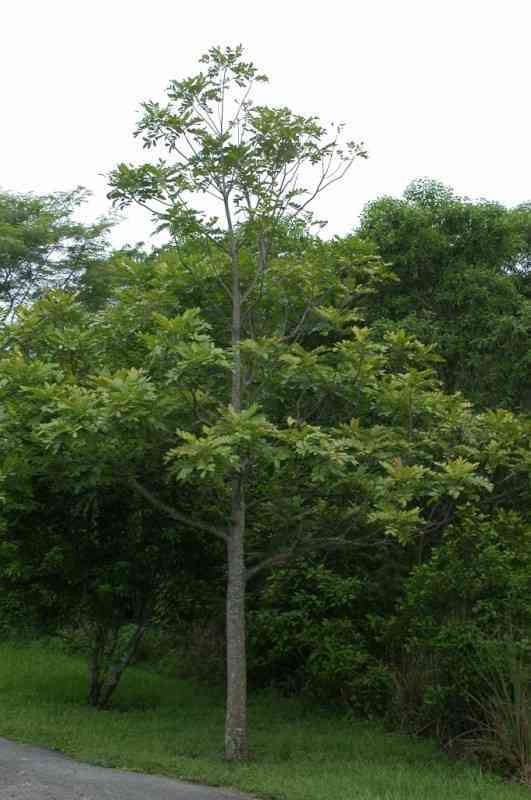 And... the Paradise Tree (Simarouba glauca DC) produces about 10 times more oil than Jatropha and the seeds contain 60% to 70% oil. 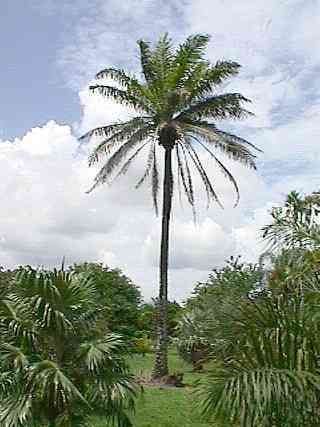 Of course, these trees only grow in warmer climates, so US farmers may have to stick to soybeans or some other crop. And... don't forget about growing algae in salt ponds for biodiesel. Here's a complete report on the subject... Algae Biodiesel. In the not too distant future, you may have no choice but to go out and buy a diesel and buy or make biodiesel... I received an email from a guy in Australia last week complaining about the price of gas - "we're paying $4.20 per U.S. gallon (3.8 liters) in the Capital City, Perth!". When our gas prices here in the US double over the next few years, maybe we'll wake up and smell the biodiesel! You can get a copy of "From the Fryer to the Fuel Tank" by clicking HERE. Joshua Tickell, the author, is America's foremost expert on making biodiesel from used cooking oil. Not only is he the author of "From the Fryer to the Fuel Tank", but he actually drove his vegetable oil powered RV or "veggievan" across the nation several times. Get this book TODAY if you want to learn everything there is to know about biodiesel.